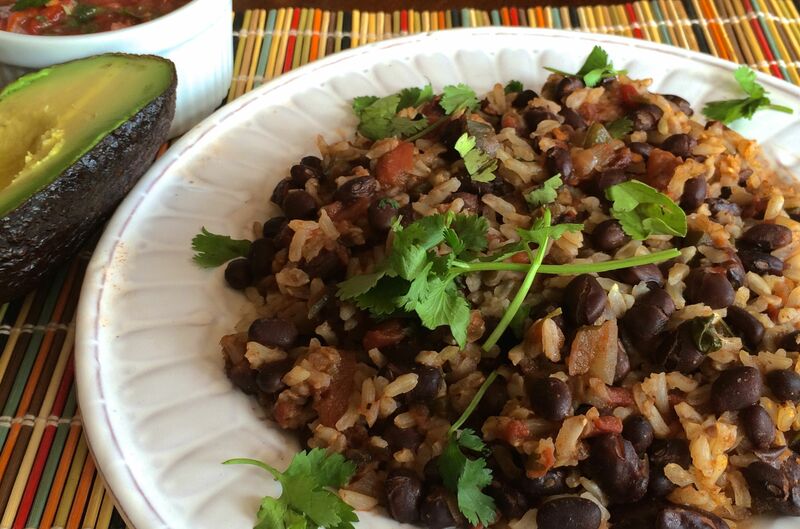 Rice and beans is a healthy staple, loaded in nutrients and big in flavor. Choose whatever toppings you wish to complete the meal, a perfect lunch or dinner. This is the third of my black bean-inspired posts, and it feels great to give beans some love! The American Heart Association recommends people consume three to five servings of beans and nuts each week because of their nutrients like fiber, iron, and zinc. 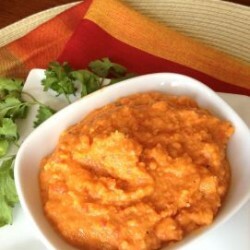 (One serving is about one-quarter cup cooked beans.) And because they’re so high in protein, beans can be swapped for meat or poultry for a tasty and planet-friendlier choice. Harvard’s Healthy Plate shows that protein-rich foods like beans should comprise about one-quarter of your dinner plate. Yet most people don’t eat nearly enough for optimal health. 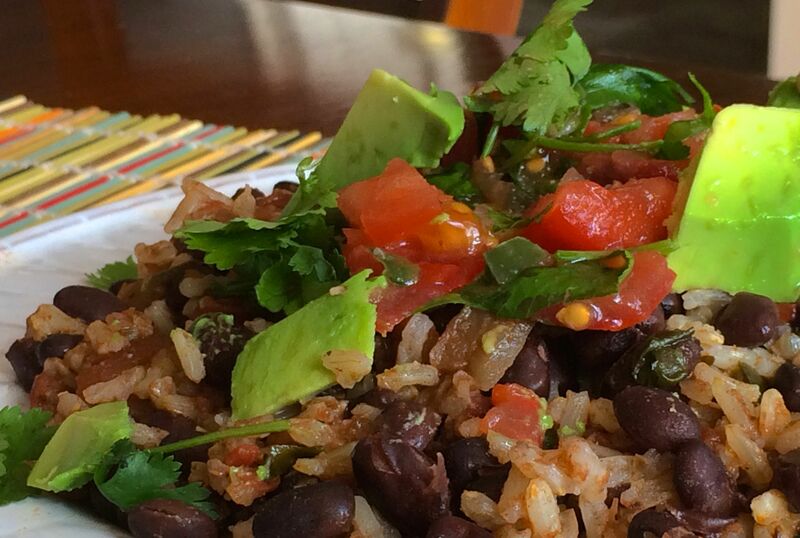 Rice and beans is a classic dish in many parts of the world, each with their own flavors. Here I’m sticking with the version common in Mexico, which builds off my recent Cinco de Mayo posts and is familiar to most Americans. It’s got big flavors that everyone likes, which makes it easier than ever to get more beans into your diet. 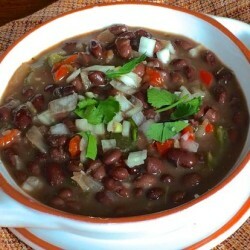 And if you make up a big batch of fifteen-minute black beans this meal will just keep giving and giving—and you can store additional beans in the freezer for another time to boot. This dish is wonderful unadorned, all on its own, but feel free to garnish it however you’d like. I added chopped avocado, cilantro, and a bit of pico de gallo (fresh tomato salsa) and it was fantastic! Like this? 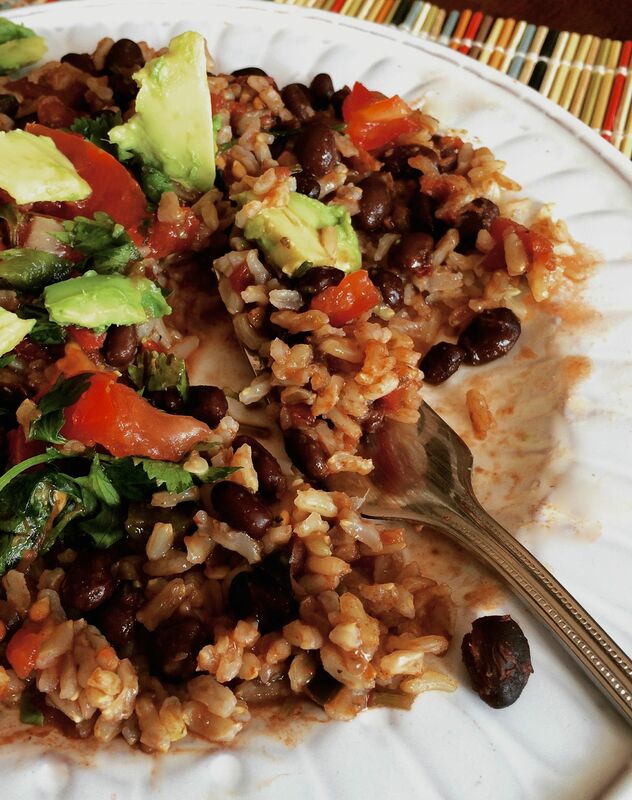 Then you’ll also love when I toss these same black beans and brown rice into a fabulous Mexican salad (rice and bean bowl with cilantro-lime vinaigrette. 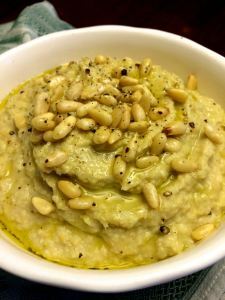 And don’t forget to check out my recipe page for additional dishes to get more yummy beans into your diet!